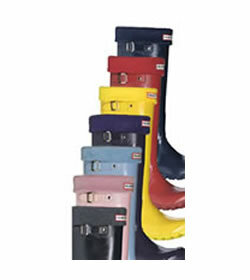 Hunter welly warmers are the perfect accessory for Original or Coloured Hunter wellies. They come in a variety of colours so you can buy them to either match or compliment the colour of your Hunter wellies. They are an excellent fashion accessory as well as very useful for keeping your toes warm on those cold winter days! Fits UK Adults sizes 6,7,8. Available in Pink, Cream, Black, Powder Blue, Aubergine, Red, Charcoal, Green, Navy, Violet, Fuchsia, Teal and Turquoise.